The final week of the NFL’s regular season is always known for being a little wacky. 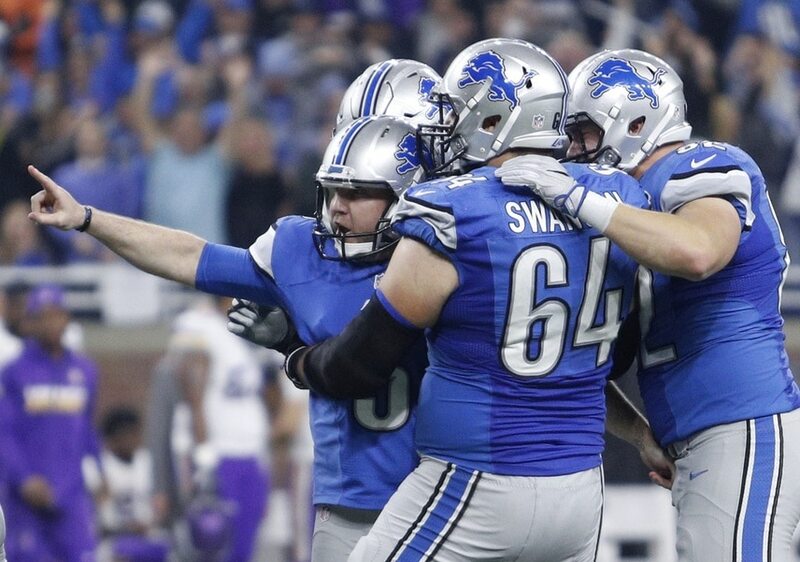 Detroit Lions kicker Matt Prater kept that tradition alive with a beautiful touchdown pass. After the Green Bay Packers defense held the Lions out of the end zone, Detroit lined up for the short field goal attempt. Tight end Levine Toilolo snuck off to the outside and with no one around him, Prater took the snap and made the perfect throw for the touchdown. And @PatMcAfeeShow on the call is absolutely perfect. The cherry on top here was former NFL punter Pat McAfee calling this live. Prater had attempted just one pass attempt in 170 career games coming into today, making this even more unexpected. The 34-year-old has accomplished a lot in his NFL career and now he can add a touchdown pass that he’ll never forget.